The State of South Carolina offers a number of tax incentives for energy efficiency and fuel production. The Energy Office works in cooperation with the SC Department of Revenue to coordinate the application of these incentives. 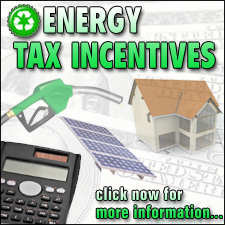 For a list of incentives by category visit the SC Tax Incentives webpage. In addition to incentives offered by the State of South Carolina, the Federal government also provides incentives for energy efficiency upgrades. Information about Federal incentives can be found in the online DSIRE (Database of State Incentives for Renewables & Energy) database where you can search incentives by type and/or by state.